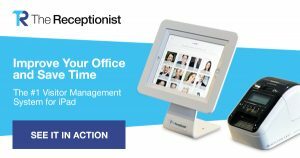 This post is a guest blog written by Scott Zimmerman, the Founder and CEO of Nexis Wellness and a Receptionist for iPad customer. When prospective members of Nexis Wellness first learn about the affordable office solutions our health and wellness coworking community has to offer, they are impressed by the attention to detail that has gone into making the space HIPAA-complaint. The check-in process provided by The Receptionist for iPad is a huge part of this offering. Nexis Wellness is a community for health and wellness professionals, and HIPAA compliance is a major consideration for all of our technologies and vendor relationships. Anyone providing treatment, payment, and operations in healthcare, including business associates (anyone who has access to patient information, such as third-party billers, voice and data service providers, etc.) must meet HIPAA compliance. Typically, HIPAA comes in to play when collecting and/or storing two or more pieces of personally identifiable information (PII). The configuration flexibility The Receptionist for iPad offers allows us to set up the app to collect only one piece of information – “name” — and the log is purged nightly for added confidence. This means turning off most of the app’s functionality, but this is perfect for a healthcare-based shared office facility. Patients/clients love the anonymity provided by not having to announce their names in front of full waiting rooms. 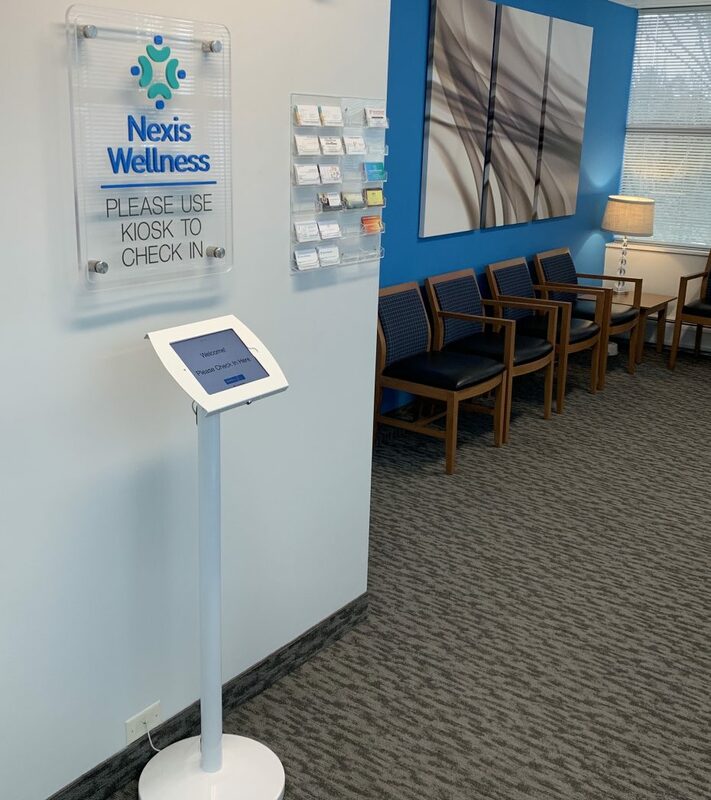 Nexis members love not having to poke their heads out in the waiting area to see if their patients/clients have arrived and not being disturbed during sessions/appointments. There’s the added benefit of being notified when a client shows up at the wrong time and they’re not in the office. This is a huge win for Nexis members. Patients/clients also find it comforting to see the photographs of their providers before their first appointment. It is a nice reassurance, especially for the behavioral health and wellness audience Nexis caters to. In Cleveland, there are two major hospital systems — University Hospitals and the Cleveland Clinic — which both use check-in kiosks tied to their EHR systems. Both require tons of clicks, and the kiosks are overly complicated and confusing, often requiring two staff attending them to guide people through them. The Nexis workflow couldn’t be simpler: click check-in, select provider, enter name, and you’re done (get guest Wi-Fi password). The Receptionist for iPad’s ease of use has been a huge selling point. We were able to eliminate front desk staff, providing huge savings which were passed on to our members. There is no longer any concern about sick days, overtime, or finding someone to cover a late night or weekend appointment that was booked last minute. It provides a competitive advantage for Nexis and a level of service our members love.